SKYGLOW, a 192 page full color 12x9 Hardcover Astrophotography book and Timelapse Blu-Ray, tackles the most light polluted cities and pristine Dark-Sky preserves of North America. A blend of images, stories, essays, anecdotal captions and astro-timelapse videos, SKYGLOW explores the history and importance of celestial observation on humans, the proliferation of electrical outdoor lighting spurring the rise of the phenomena known as Light Pollution, and the Dark-Sky Movement which is fighting back to reclaim the pristine night skies the Earth had enjoyed for billions of years. Produced in collaboration with International Dark-Sky Association, and available in Regular and Limited Edition signed by the authors. HOLIDAY SPECIAL: All orders are 15% off when you enter SKYGLOW15 at checkout, and all hardcover book packages come with a FREE 2019 Calendar and a FREE 10x8” signed Limited Edition photo print! However, this problem is one an average citizen can do something about, as Verlyn Klinkenborg states in his article on Light Pollution: "Of all the pollution we face, light pollution is perhaps the most easily remedied. Simple changes in lighting design and installation yield immediate changes in the amount of light spilled into the atmosphere and, often, immediate energy savings." Los Angeles, California is one of the most light polluted cities in the world. Fireflies, which used to cover most of lower North America during the months of May through July, are one of the animal species devastated by light pollution. Relying on complete darkness to perform their mating rituals, fireflies have retreated into the last remaining dark areas of their habitat, decreasing their overall population by as much as 90 percent, according to some estimates. Birds that migrate or hunt at night navigate by moonlight and starlight. Artificial light can cause them to wander off course, migrate too early or too late, and miss Ideal climate conditions for nesting, foraging, and other behaviors. Every year, millions of birds die colliding with needlessly illuminated structures. Artificial light emanating from house lights, electronics, and other sources suppresses melatonin, an antioxidant that induces sleep, boosts the immune system, lowers cholesterol, and helps the functioning of the thyroid, pancreas, adrenal glands, and various other parts of the body. The full impact of nocturnal light on the health of human beings is not yet known as many studies are still to be conducted. Research to date suggests that artificial light’s disruption of circadian rhythm is one of the causes of obesity, depression, insomnia, diabetes, and breast cancer. Even fish, such as salmon, are susceptible to having their mating processes disturbed by artificial light pollution. Sea turtles often mistake city lights for moonlight shimmering in the ocean. Trees have been shown to bloom too early due to artificial light. Later-budding trees such as ash trees are most affected by light pollution, which in turn impacts all the animal life that depends on those trees’ natural bloom cycle. Toronto, Ontario street lit in sodium vapor lights, before LED retrofitting. And these luminaries radiate their light over much of the electromagnetic spectrum and scatter much farther through the atmosphere, even when shielded. Cities need to install filters that can remove the LEDs’ blue wavelengths, as well as shields that better aim the lights down. Those fixes are costly. But there are some potential positives to LEDs that aren’t yet widely utilized. The latest bulbs are tunable, which means streetlights might someday make use of warmer, more natural amber colors. Indoor lights and electronic displays can change their hues throughout the day, keeping you more attentive when you need to be, but dialing back the blue as the sun sets. LEDs (light-emitting diodes) compound the light pollution problem. Most city-dwellers are familiar with the traditional yellow hues of low- and high-pressure sodium-vapor streetlamps, which shine in a narrow range. But broad-spectrum LEDs are the future. The brighter and more efficient streetlights can save cities millions of dollars on their power bills, so municipalities big and small are starting to convert. The most common bulbs are blue with a special coating that makes them appear white to human eyes. This also causes these LEDs to peak in the short wavelengths astronomers commonly use to observe the night sky. Toronto, Ontario street lit by bright LEDs after retrofitting. The Bortle Scale is a nine-level numeric measure of the night sky’s brightness in a particular location. It quantifies the astronomical visibility of celestial objects and the interference caused by light pollution. John E. Bortle created the scale and published it in the February 2001 edition of Sky & Telescope magazine to help amateur astronomers evaluate and compare the darkness of observing sites. The scale ranges from Class 1, the darkest skies available on Earth, to Class 9, daylight-like inner city skies. Before the time of artificial light, the world only knew of lightning bolts flashing in thunderstorms, waxing and waning moons, random fires in the forest. For billions of years prior to the arrival of humans, life on earth came to be in perfect harmony with daylight and darkness, each equally important to its existence. Early humans readily observed the darkest of night skies, where the collective light of billions of stars in our Milky Way was so intense it would cast shadows on new moon nights. 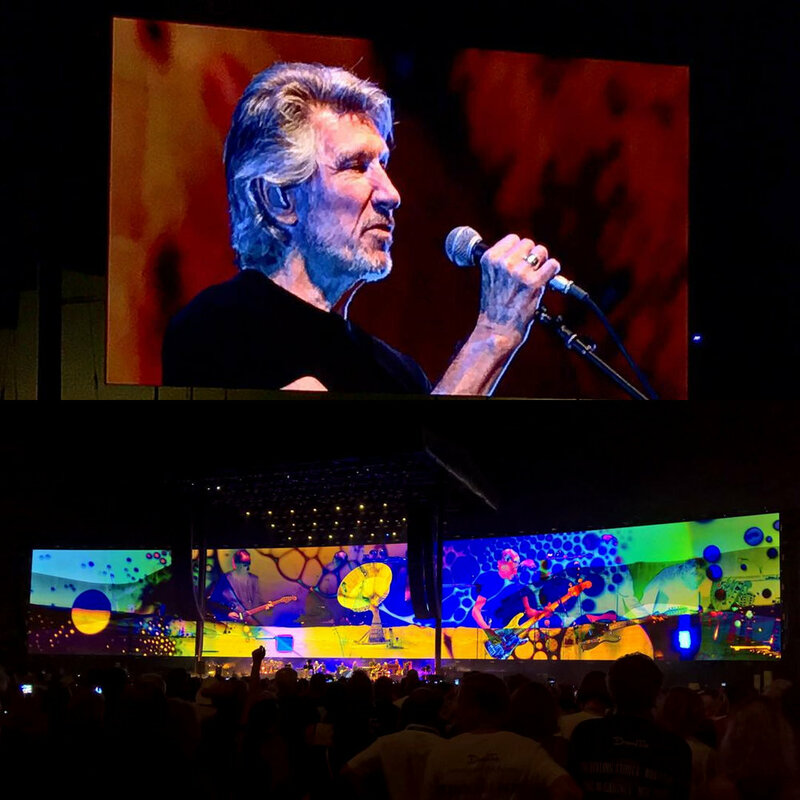 Night skies inspired many questions about our place in the universe, giving birth to both religion and science, two ways to offer answers to what the Sioux called The Great Mystery. While one part of the human psyche drew inspiration from the night sky, the other always lamented the absence of the sun. The first presence of natural light pollution on Earth proved to be essential to its creation. Endless volcanic activity--a mixture of lava, ash, and gas that escapes from a magma chamber deep below the surface--has been shaping the planet from the very beginning. This phenomenon continues in Hawai’i, Earth’s most volcanically active spot, where new land is created on a daily basis. For billions of years, lightning was the brightest light in the night sky. Each flash lasted only a millisecond, providing brief but blinding illuminations, as seen here at the Grand Canyon, where thunderbolts often strike near the edges of the rim in spectacular fashion. Two other rare, but nonetheless present forms of natural light pollution, were meteors burning in the earth’s atmosphere, as well as Aurora Borealis (Northern Lights). The night skies prior to artificial light pollution were so pristine, during the darkest nights, in the new moon portion of the lunar cycle, when there was minimal or non-existent reflection of sunlight into the night sky atmosphere, the Milky Way would get so bright it would cast shadows and illuminate the landscape. For humans, unlike other animal life, night became a fertile source of both fascination and dread of the unknown. Night sky, the source of endless unsolved mysteries, became the inspiration for some of the oldest known stories and myths. For many centuries, indigenous tribes such as the Blackfeet could witness pure dark skies each night from their homes, developing rich mythologies that stemmed from their observations of the heavens. Stories told and songs performed around campfires gave forms to the sights above. One day, seven little girls were playing away from their village. Suddenly, large black bears chased after them. Knowing they couldn’t escape, the girls jumped on a low rock and began to pray: Rock take pity on us, please save us! The rock began to grow upwards, pushing the girls higher and higher. The bears jumped to reach the girls, but only scratched the rock, broke their claws, and fell on the ground. The rock rose higher and higher, all the way to the sky, and the girls became the constellation Pleiades, The Seven Sisters. Bodie, California, is a ghost town frozen in time, giving us a glimpse of Gold Rush night skies. in the American West, and new technologies that made it easier to travel to and live in those harsh, mountainous climates began to arise. Electricity, followed by electric light, arrived in California in the late-1880s, along with steam engine train technologies, and soon thereafter the growth of the oil industry and automobiles. to ancient European archaeoastronomy sites such as Carhenge in Nebraska. The age of dark skies, with us from the very beginning of humanity, has come to an abrupt end. From the very earliest days of electric street lighting, astronomers were the first humans to notice the effects of skyglow. Observational astronomy, disrupted by artificial light, began to move farther and farther away from cities, chasing ever-receding pristine night skies. When it became clear that simply distancing themselves from expanding cities would not stop the inevitable destruction of all dark skies, both professional and amateur astronomers began to fight back. In 1958, the small mountain town of Flagstaff, Arizona, became the first municipality in history to enact a light pollution control ordinance. Flagstaff is home to the Lowell Observatory, where Pluto was discovered, the early Martian surface research was conducted, and the first evidence of Dark Matter was registered. Flagstaff’s Northern Arizona University Astronomic Research Observatory was first to conduct an infrared observation of the sky from Earth’s surface. Flagstaff is world's only city of 100,000+ residents to feature readily-available dark skies. Protection of the night sky continued for decades as Flagstaff grew in population. Coconino County, where Flagstaff is located, enacted a lighting code in 1973, covering the second-largest county in the United States. In 1981, the county took it a step further, banning all billboards and the accompanying lighting. Finally, in recognition of its pioneering role in protecting the night sky, Flagstaff was designated the World’s First International Dark-Sky Community by the International Dark-Sky Association in 2001. Since then, over a dozen other cities enacted a light pollution ordinance, including Sedona, Arizona and Borrego Springs, California. Today, the National Park Service protects some of the most pristine dark sky areas in the country. 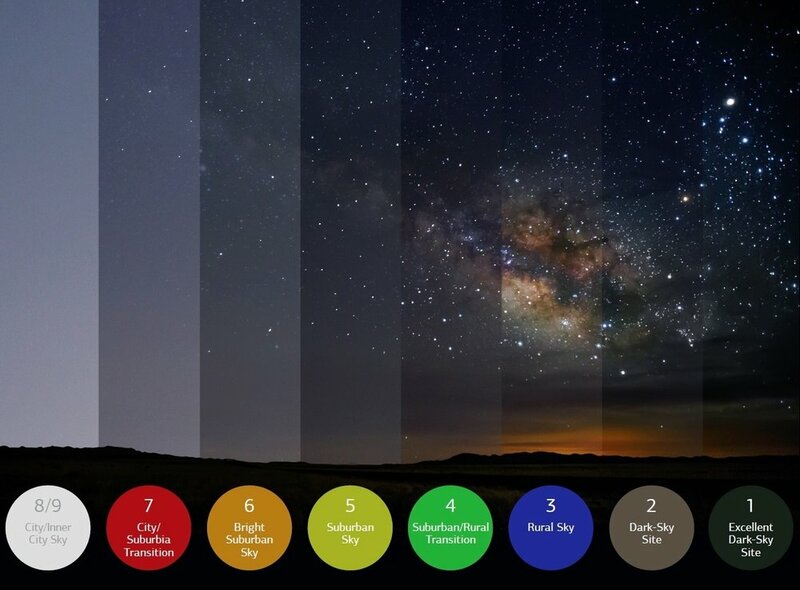 The National Park Service Natural Sounds and Night Skies Division measures light pollution in parks around the country and develops strategies to curb the impacts of skyglow. However, despite National Park efforts to preserve nature for the enjoyment of the people, the use of artificial light both within and outside the boundaries of the National Parks threatens the quality of night skies. 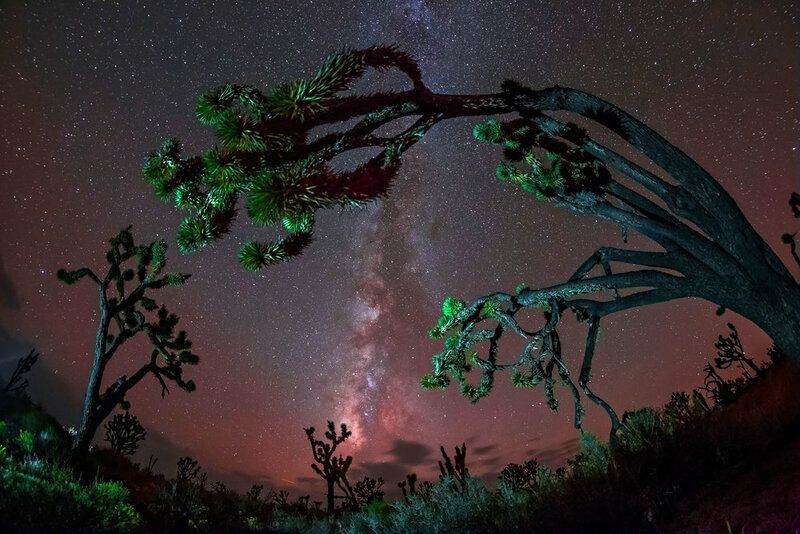 Joshua Tree is one of such parks affected by the light from neighboring Los Angeles and Palm Springs, while being stuck between Los Angeles area and Las Vegas keeps the even the remotest parts of the Mojave National Preserve from maintaining clear night skies. Mojave National Preserve, California, with Los Angeles skyglow intruding. Meanwhile, much of New Mexico’s White Sands National Monument suffers from light pollution coming from nearby cities Alamogordo and Las Cruces. In Yellowstone National Park, as in other sanctuaries, the prevalence of light around building structures makes it impossible to achieve perfect dark skies in all areas of the park. Even in the more detached parks, such as Death Valley, car lights add to artificial light intruding on the quality of darkness, while a combination of cars and light pollution from surrounding towns significantly impacts night sky quality over every single stretch of the 469-mile Blue Ridge Parkway. In Shenandoah National Park, only the occasional passing clouds block enough light from the surrounding cities to offer visitors a decent view of the heavens. With an estimated light pollution growth at 6 percent a year, National Parks, along with all of the developed world, may lose their dark skies by the end of the 21st Century. 1. Purchase materials from our STORE page, including books, blu-ray, calendars, and more! Funds go to the creation of more visual and written light pollution awareness content. 2. Donate / sponsor SKYGLOW by visiting our DONATION page and making a contribution. Funds go to the creation of more visual and written light pollution awareness content. 3. Organize a SKYGLOW EVENT in your area. We have educational presentations of various lengths which combine TED-style talks with dynamic still & timelapse video content. 4. Visit the INTERNATIONAL DARK-SKY ASSOCIATION website and learn more about impacts of light pollution and what you can do about it. 5. Use dark-sky friendly light fixtures, and shield your indoor and outdoor lights. For more info, please visit IDA's OUTDOOR LIGHTING BASICS page. 6. Plan a trip to your closest PRISTINE DARK-SKY AREA, and take some friends with you to camp there. There is no substitute for seeing the unpolluted night skies with your own eyes.